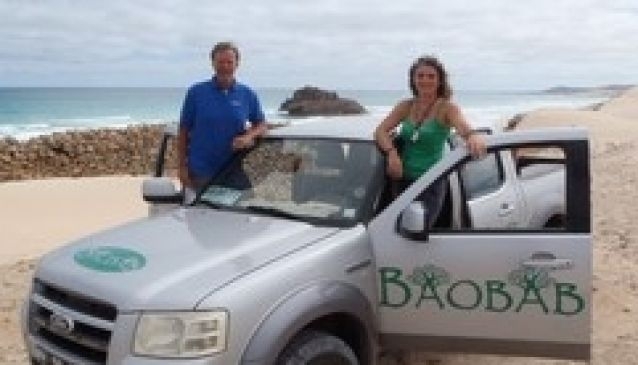 Baobab takes touring across the island of Boa Vista to the next level as they offer truly personalized tours and activities. Their philosophy is to provide maximum attention to their small groups and along with that offer an adventure of a lifetime. The tours are done professionally and on their 4x4 vehicles. Besides the vehicle tours they offer many other activities such as diving, snorkelling, quad biking, whale watching, sailing and deep sea fishing, turtle watching and of course unforgettable nights in the authentic local bars with great entertainment and food. Make your holiday an active one and explore the least densely populated island of Cape Verde. Together with Baobab Tours you can create memories that you will remember forever.